Welcome to the enlightened stone world of MTStone Carrara. Where the Natural Beauty is brighten through the modern Technology. State of Art specialised Self Designed work shop Equipped with highly Modernised Machines and equipments, working with Professional Designers, Architectures and Highly Efficient working team members MTStone Carrara. Our mission is to Décor each Life Dreams, Through emerging the technology to explore various lighting forms and colour which enhance the beauty of natural stone. We make New Creations and Innovations. MTStone Carrara is a company that deals with import-export of marble, onyx and stone materials in general of high quality, as well as for the design and realisation of luxurious environments and decorations according to customer requests. 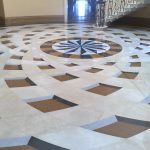 Along with many other forms and colour stones in our product list White Onyx, Honey Emerald, Marble, Slates, Etc these are main gem stones which are some of the most used materials from our company, in synergy are highly preferred by Corporate Companies, Architects & Interior Designers. Through our projects done & company profile you can see that our core area is technological and very particular with quality starting from medium to high. We also have collaborations with other operators other than technological area, we are also potential enough to complete other standard projects as CUT TO SIZE. Is New Creation to enhance the unique characteristic of natural stone. Light in all its shapes and colours to enhance it alive and gives peaceful luxurious ambience. 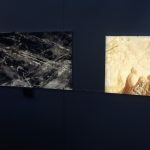 Backlit onyx is one of our high-quality products that are great for embellishing remarkably exclusive environments such as villas, apartments, hotels, spa, yachts, restaurants and more. Professional expertise in Architectural Design structured the product by combining structural supports with the unique materials we treat; the product becomes lightweight, effective and safe at the same time, “safer”, these are add-on feature to the product. Lightweight Marbles are made up of a thin layer of stone only / assembled on honeycomb panel or other structural panels. Standard sizes, or on request for work such as coatings, elevators, ceilings, floors etc. 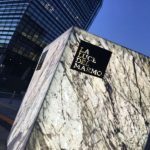 We specialise in combination of glass on marble / onyx, that opened new doors for our company in different market segmentation. Our products give a touch of refinement ideal for the insertion of the most diverse sectors such as: furniture, building, nautical, villas, spa and more. • OUR CORE BUSINESS “Always design a thing by considering it in its next larger Context”…. This is our company’s main strategy of business which never ends for sales only or supply the demand but as we take care of our clients satisfaction as equally we think and put our efforts to make sure their clients satisfy too. Before starting work runs a work feasibility study based on the collected data it allows to evaluate the real possibilities of project Success. Only then main targets start designs were defined: Architectural, Technological, Plant and Interior Design. For archiving such success along with our expertise designers and technical work team, our clients plays a central role for collecting data and their requirements and on location physical site requirements all together accomplish the Dream Projects. These qualities makes us to sustain successfully in this competed market seines past 30 years. MTStone Carrara is able to offer services of general contractor on an International scale with its Project Management Functions and Work Supervision which give us a successful client base in Italy, Europe, USA, and Middle East & Far East. 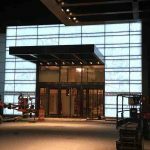 Backlit facade of thin white laminated double tempered glass onyx panels with anti-hurricane SGP film, about 150 square meters. Backlight Panel with RGB LEDs – Tiger Veined Onyx Panels Tempered Glass + RGB LED Lamp with Threaded and wall-hung inserts on adjustable supports. 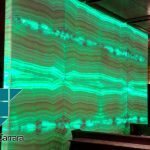 Backlight Onyx glass walls with RGB LED system – Tiger Veined Onyx Panels laminated to low iron glass + LED light RGB with threaded inserts and hung on the wall above special adjustable supports.